Our teeth are in many ways, the best way to judge a person by. If someone has a perfect set of teeth, it obviously indicates that not only are they careful and meticulous about the things which are important, but they have also made it a point to follow only habits which benefit them. A perfect smile is the key to winning hearts, as it makes you more likeable and dependable to the person sitting opposite to you instantly. However, this smile maybe easily threatened by only a few bad habits, and that is something we must avoid. But in case we are too late and end up with missing teeth before there is anything we can do about keeping them intact, the next best thing to do is opt for dental implants in Mumbai. 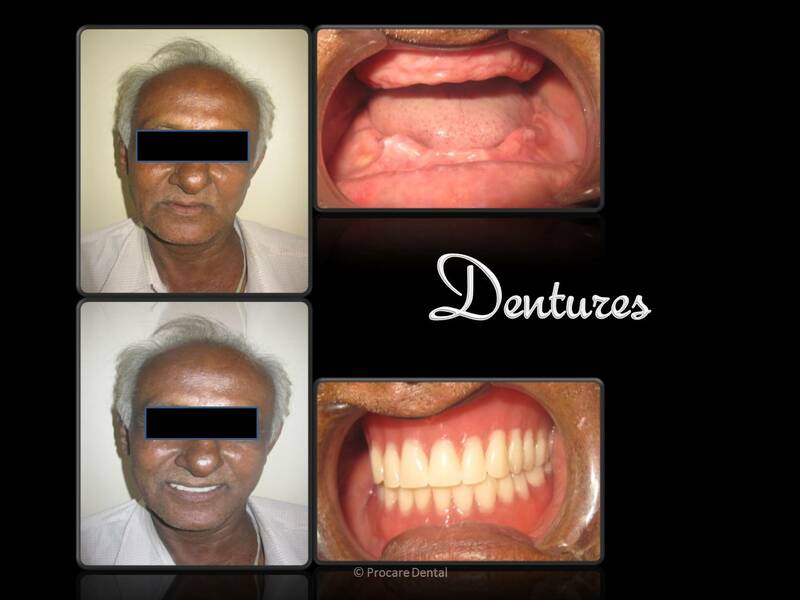 Why do best dentists in Mumbai opt for implant supported over-dentures? Implant supported dentures are the type of over-dentures which have to be retained by or attached to implants. Whereas conventional dentures rest on gums, implant supported dentures as the name suggests, don’t do so. Best dentists in Mumbai prescribe implant supported dentures to any patient who doesn’t have any teeth in the jaw, but has enough bone in the jaw for the implants to be attached to it. These types of implants are more usually found in the lower jaw; since this gives it increased stability and a better fit. However, this is not a necessity, and implants can be attached to both upper and lower jaws depending on our requirements and as prescribed by the best dentists in Mumbai. Dental implants in Mumbai have two types, namely Bar retained and ball retained dentures. In bar retained dentures, a thin wire is fitted with your jawbone and has a shape following the curve of your jaw. Clip type attachments are then used to hold together the dentures to this wire, ensuring stability and functionality. Ball retained dentures on the other hand have a ball and socket type joint which holds the implants and denture together. The implants have to be attached to the front side of the jawbone than back since there is more bone in the front giving it more area to hold on to. The time taken for the whole procedure of installing the best dental implants can require anything ranging from five to seven months depending on whether the implants are in the upper or lower jaw. Two surgeries are usually carried out to put in the best dental implants in place. First surgery consists of putting the best dental implants in the jawbone, and a gentle reline is sometimes added to reduce direct pressure on the implants. In the second surgery needed to install dental implants in Mumbai, the dentist checks to see whether the jawbone has fused well with the implant or not. In this process a simple incision is made to the gums to expose the top of the implants, and then the dentures are clipped on to the implants. You will then be asked to visit for some regular check-ups; to make sure your new smells remains shining as new for a long, long time.